As children, Nicky and Simone Zimmermann spent most of their free time on Sydney's beaches so have become experts in creating warm-weather clothes. This 'Juniper' playsuit is made from breathable linen that's lined in lightweight cotton for an opaque finish and embroidered with contrasting white appliqués. 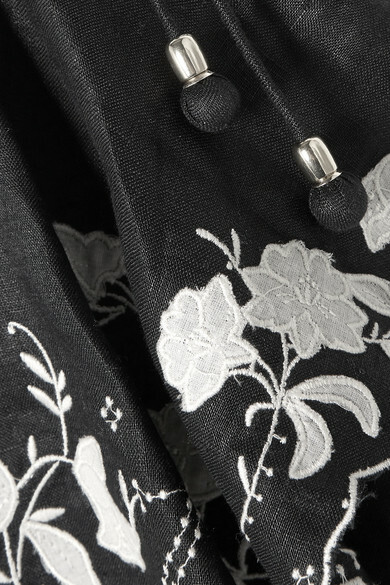 We love the delicate details like the shoulder ties and picot trims. Shown here with: Cult Gaia Clutch, K Jacques St Tropez Sandals, Alighieri Necklace.